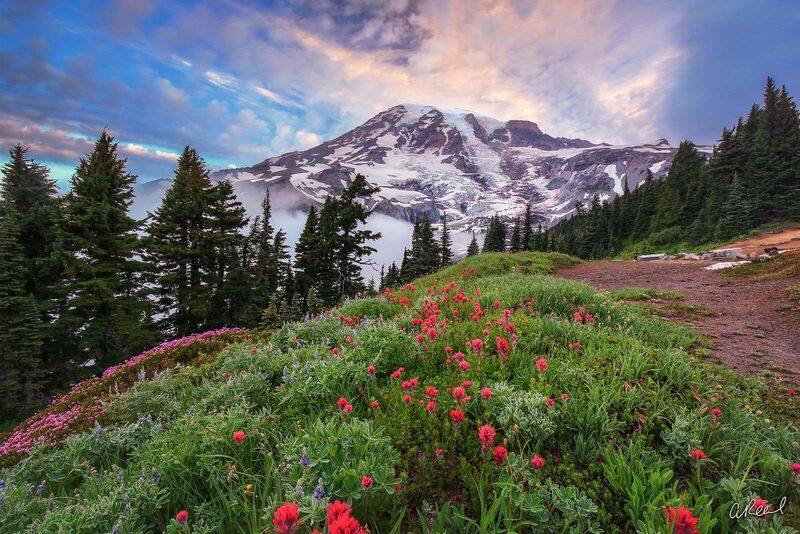 Fine Art Limited Edition of 100 - Paradise is the name of an area at approximately 5,400 feet (1,600 m) on the south slope of Mount Rainier in Mount Rainier National Park in Washington, United States. The area lies on the border of Pierce and Lewis counties and includes the Paradise Valley and the Paradise Glacier which is the source of the Paradise River. Virinda Longmire named Paradise in the summer of 1885 while she viewed the wildflowers in the alpine meadows there. Paradise also offers views of Mount Rainier and the Tatoosh Range. Photo © copyright by Aaron Reed.